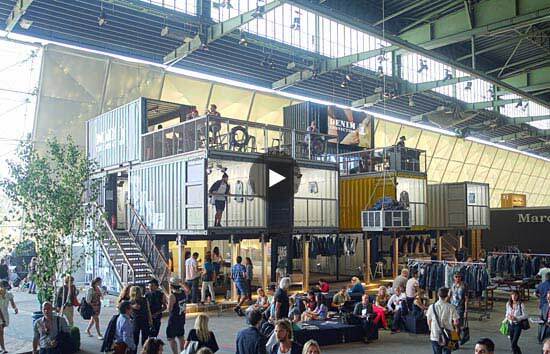 Scenes from Bread & Butter Berlin from two summers ago. Bread & Butter has made an announcement today, June 8, 2015, regarding a new investor for the trade show, Zalando. Zalando is the Berlin-based online platform for fashion. With the help of Zalando, insolvency proceedings should be closed by 1st October 2015. The BBB team and concept and Zalando are a very good match, and together they want to further develop Berlin as a fashion location. The content of a new BBB concept from 2016 on is already worked on and will be communicated later this year. The present focus is on the BBB summer event that will take place as planned from 7th- 9th July 2015 at the airport Tempelhof. The terms of the deal and size of the investment have not been disclosed. In addition, more information will be coming shortly regarding details about the concept for the upcoming July show, which could include the idea once again for open-doors for consumers.